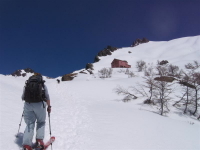 The mountains of Patagonia offer numerous backcountry ski options. Whether using the lifts of Cerro Catedral to access Refugio Frey or touring the classic areas above Refugio Lopez and Refugio Neumeyer, there is plenty of worthy backcountry in and around Bariloche. 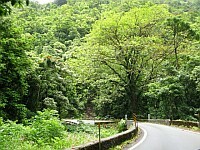 The area is also within a few hours’ drive to near-by volcanos for spring touring. In Argentina all beaches are public property. This creates a multitude of choices for sitting and enjoying the sounds of the lake. Try Playa Serena or Playa Bonita for easy-access beaches. 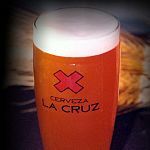 This part of Patagonia has numerous tasty local brews. Inquire for more information on some of our favorites and/or a brewery tour. Depart Puerto Pañuelo, across from the Hotel Llao Llao for a magnificent boat ride through the deep blue waters of Lago Nahuel Huapi. 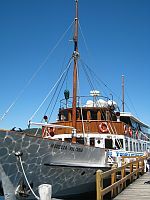 Vessels leave from the docks daily and travel to Puerto Blest, Parque Nacional de Arrayanes and Isla Victoria. Fly among the tops of old growth Lenga trees with the adventure sport, Canopy. Monthly full moon trips including pizza and local beer are also offered. Ride the Happy Train and see the City of Bariloche. Tren de la Alegria departs next to the Centro Civico throughout the day. Get off the beaten path and take a drive. 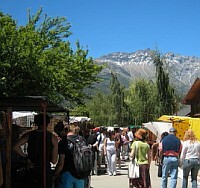 Day trips to San Martin de Los Andes via the Seven Lakes road, Villa La Angostura, Cerro Tronador, and El Bolson (excellent craft fair on Tuesday, Thursday, and Saturday) are all worthwhile ways to spend a day. A series of large dance clubs are located on the road parallel to the lake, Juan Manuel de Rosas, each offering their own atmosphere. The five large discos (Grisu, Cerebro, Roket, By Pass and Genux) rotate on what age group they are hosting. The doorman will let you know if your peers are inside or congregating at the disco down the street. Be ready to stay up late when partying Argentine-style. The real fun gets going around 3 a.m. and continues on way past sunrise. Cerro Catedral, 20 minutes from our properties, is the biggest ski complex in South America. It has over 30 lifts, a large base area, and a vertical drop of over 3,300 feet. Cerro Bayo, above Villa La Angostura, is approximately 1.5 hours away. Both areas offer amazing views and easy access to the backcountry. The Lakes District of Patagonia is filled with numerous fishing opportunities, both in alpine lakes as well as streams and rivers. 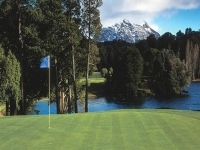 There are 3 golf options around Bariloche. The Llao Llao Hotel has a world class course located on the shores of Lago Nuel Huapi & Lago Moreno. Arelauquen Golf has 18 holes in a nice setting overlooking Lago Guiterrez. Pinares Golf has a fun 9 hole course at Kilometer 14. Bariloche has an extensive list of fine, five-star dining experiences, not to mention some of the best beef in the world. 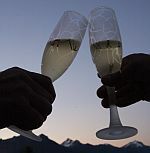 Check out Guide to Bariloche Dining for more information. There is no shortage of world-class hiking in the Nahuel Huapi National Park. From quick hikes thru the dense, old-growth forests to airy summits on majestic peaks, Bariloche has it all. There are also refugios strategically located throughout the Patagonia wilderness allowing for amazing overnight trekking excursions. All offer warm food, sleeping accommodations and, occassionaly, homemade beer. 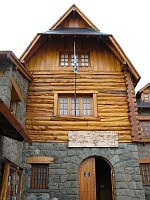 Club Andino Bariloche, located downtown, is a great source for information and maps. Explore the Andes on horseback with Carol Jones Cabalgatas (guided horse trips). Step in to the shoes of a gaucho, touring the Argentine Steppe and Cordillera with an authentic decedent of Patagonian history. Carol Jones, granddaughter to Jarred Jones, (the first white settler to the area) will take you on multi-day, full day or half day journeys through her family’s land. An asado (bbq) and interaction with the working ranch are included in the tour. 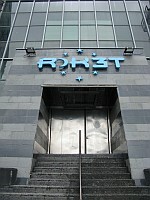 On the lakeside street, Juan Manuel de Rosas, is a small, indoor ice skating rink located above a popular live music venue, Puerto Rock. The rink is located directly on the shores of Huapi, offering spectacular views. Puerto Rock is slowly becoming filled with well-known Argentine music acts. The concerts are held on Fridays throughout the year. The lakes district has no shortage of places to kayak. There are many smaller and sheltered lakes for days with wind. Trips vary from half day to several day excursions exploring the shoreline of Nahuel Huapi. The Bariloche area has some truly epic mountain biking. The riding season is from October till the first snow, around early June. The perfect Patagonia dirt, hills and scenery make for great rides. There are full & front suspension bikes as well as helmets available for rent all around Bariloche. Renting and driving a BMW motorcycle in Patagonia is a once-in-a-lifetime experience. Trips vary from half day to multi-day packages and can be tailor-made to the client's needs and wants. Though Bariloche has a huge variety of musuems, the chocolate museum and Patagonia Museum are both very interesting outings. The Chocolate Museum takes the guest from the bean to the sweet candy we all know and love. They even let you get your hands a little dirty if you want. The Patagonia Museum takes you through the history of this amazing land, playing homage to the native tribes, animals and founding fathers. There are different paragliding spots around Bariloche, the most popular being off the top of Cerro Otto. Another is off the Piltriquitron mountain outside of El Bolson. 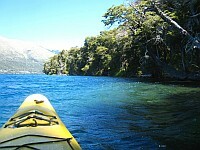 Around the Bariloche area, there are several stretches of river that are commercially run. Rio Limay(outlet to Lago Nahuel Huapi) is class 1-2. The Rio Manso Inferior is class 2-3. 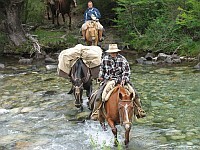 The Rio Manso frontier is class 3-4 & crosses into Chile, (Bring your passport!). There are numerous companies who offer all-inclusive packages and finish with a traditional Argentine feast. Needless to say the Patagonia scenery is breathtaking and a great way to spend a day or more. 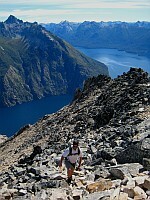 There is no shortage of excellent rock climbing opportunities around the Bariloche area. Piedra Blancas, high above Lago Nahuel Huapi offers sport routes, generally in the 5.7 - 5.10 range. 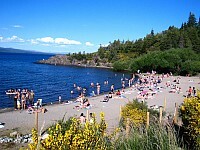 Other Bariloche areas include Laguna Trebol and Cerro Ventana. The spires of Catedral above Refugio Frey offer classic Alpine routes. There are a couple of good guide books at the Club Andino Bariloche downtown. The city’s main shopping district is located on the avenues of Mitre and Moreno. Mitre starts off at Centro Civico and continues beyond the main plaza, lined with shops filled with chocolate, knick knacks, sweaters, t-shirts, artisan crafts and a few dining options. Bariloche is known for its chocolate and the local favorite, Mamushka, is located on Mitre. Other than Mamushka, there are a dozen other chocolate companies in el centro, each having its own persona. An outdoor art and crafts fair is located in the city square. The fair operates year-round except for important holidays and bad weather days. Ride the chairlift at Cerro Campanario or the gondola at Cerro Otto on a clear day and see the Lakes District from up high. Take the kids to Parque Nahuelito, located on the Circuito Chico, to learn about Patagonian Dinosaurs. The nature-friendly park winds through a series of informational pit stops that are created to entertain the children. Try your luck at one of the area casinos. There is often live music in the evenings as well. Kitesurfing is a new comer to Lago Nahuel Huapi but is an obvious great idea here in Bariloche because of the hefty winds that steadily blow. Kitebeach Bariloche has formed a professional company that takes advantage of the winds creating good waves and an ability to fly with needed breezes. Kitebeach offers one hour classes with certified instructors and includes needed equipment and wetsuits. Grab your friends and head to Colonia Suiza for some Paint Ball fun. Great for groups of friends or family, put your own teams together and fight it out with color in the old growth forests of Patagonia. The crystal clear waters of Lago Nahuel Huapi offer several scuba diving opportunities. Whether you are a first time diver or have experience, there is great underwater adventure for everyone. 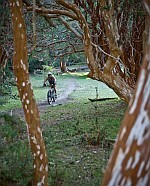 Piedras Blancas offers fun for the whole family. In the winter you can enjoy beginner downhill skiing or cross country. In the summer there is mountain biking, hiking and rock climbing. The summit offers two dining choices and fabulous opportunities for panoramic pictures. There are many high end spa facilities through out the area. They offer a wide array of different treatments to rejuvenate the body and soul. Take a train ride to the Patagonian steppe and beyond. Visit Parque Cerro Leones where mystery and history await. Begin with an exploration of amazing caverns that burrow into the lower Andean hills. Then discover the interesting and sordid past of the Patagonian landscape, native cultures and European settlers.